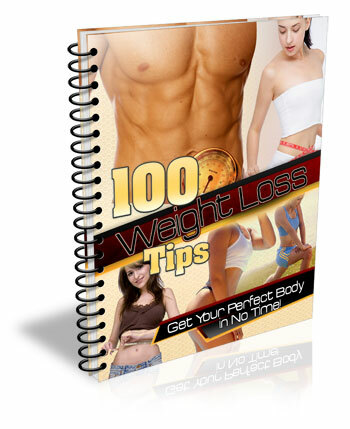 100 simple weight loss tips that will surely help you loose your weight and keep it off. You will still be able to enjoy your life as you would like. I have followed these tips and have seen a dramatic changes in my weight. My wife is so surprised that I look younger with less and less weight. You can loose weight too just like I have. Just get this e-book and follow the tips. You will see your weight go down in no time.